Matt Stafford had an MVP-type season in 2016. How does the future of this offense look? Last year, I opened this piece by saying that the Detroit Lions had been making the possible look impossible since 1957 and, following a wildcard round exit from this year’s playoffs, there’s little reason for me to change my tone. Truthfully, they had no business making it to the post-season, and I think their good fortune will serve some long-term detriment. First problem: Jim Caldwell would have surely been let go had the Lions suffered another losing season. However, he will be returning now after somehow squeezing into the playoffs with a 9-7 record. Second problem: they scored the 21st overall pick in the 2017 NFL Draft, when they really could have used a much earlier selection. 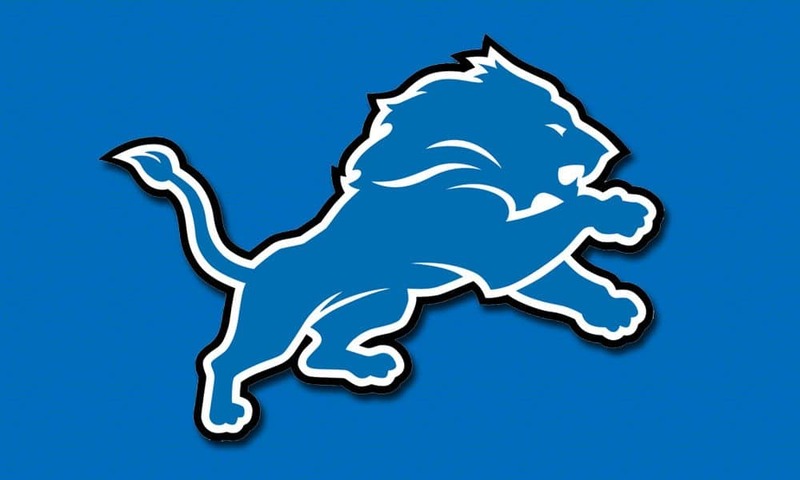 Now, I’m no Bill Simmons when it comes to tanking, and I realize the NFL is much different than the NBA, but if ever there was a team that would have been better off with an earlier draft pick than in the bottom end of the playoffs, it was the 2016 Detroit Lions. However, as with the end of every NFL season, there’s only one thing we can do—look forward, so without further ado, here’s how things are shaping up as Detroit heads into the off-season. Thank you for the detailed and astute analysis! You asked for posts about Tate. I wouldn’t sell him for less than a mid-round first. That might sound crazy, especially since I doubt that he’ll ever crack the top-10 WR, but I do think that his first five games last year were more an anomaly than the norm. He’s a high-floor, high-ceiling WR2, and he should have at least 3 years of that kind of production. I’m not trading that for a gamble at the end of the first. You also made a repeated Rivers/Stafford comparison, but I’m not seeing it. Stafford, I think, is riding on the tails of his remarkable third season. Since then, he has been above average but not distinguished. Rivers numbers in Years 5-8 were better, and that was just before the passing explosion hit. Adjusted for today’s game, River’s numbers would exceed Stafford’s by that much more. I think that Eli is a better comp for Stafford than Rivers (Stafford’s early season produced more yards than Eli’s did, but their overall numbers are similar over Eli’s career). I don’t think that Stafford has Rivers’s annual top-10 upside and consistency. This is the best team analysis yet. Hopefully the other writers adopt your detailed approach. Thank you for the informative article. I look forward to your next. I value Golden Tate in the 1.06 to 1.08 range. I’d sell him for the 1.06 or 1.07 in this year’s rookie draft. Good analysis! Last summer I traded Le’veon Bell for 2016 1.3, 2017 1.1, & Tate. Happy with the trade & Tate. Not sure what I would take for Tate. But I do agree that he has 2-3 good years left. By the way. I also have the 2017 1.3, 1.7(my pick), 1.9, & 2.3 picks for the rookie draft in August. I love the trading. I also received Kyle Rudolph with those trades. But I just traded him for the 2.3 pick. excellent analysis. i hope you do more of these articles because you know what you are doing. quick question: i am an Ebron owner and have been patient and see a lot of what you see in him. I definitely saw progress this year and am hopeful he takes it up a couple of notches next year – in year 4, when they are finally supposed to know what they are doing lol. my question is about the red zone: WTF?!! and why don’t they throw him the rock??? here are my thoughts – could be scheme, could be caldwell, could be boudin on the squad, and of course it could be Ebron (i hope not! ), which lowers his ceiling. i have watched many red zone drives and i can’t believe stafford wouldn’t benefit from him down there. perhaps its just billy bob and caldwell. @Slick M. – Apologies for my delayed response, and many thanks for your compliments. I could not share your feelings on Ebron and the red zone. I think last season was important for him in this regard in that he had far fewer focus drops than in years past. That should build Stafford’s confidence in him, which in turn should garner more looks on 3rd downs and in the red zone next season. Good observation on Boldin, also. Boldin, being a wily veteran with straight-up monster-grip hands definitely took away from red zone opportunities that might otherwise have gone to Ebron. If I get going on the Lions scheme and Caldwell, I may never stop, but that also has to be taken into account. Barring injuries, the Lions improve their running attack next year opening up a bit more play action. Ebron takes a step forward, and sees more red zone looks as he continues to mature as a route runner and sure-handed receiving option. He may not catapult to Gronk/Reed/Olsen status, but I think he’s going to be in mix in the group just behind those guys (Kelce/Walker/Eifert/etc.). If you’ve held on this long, keep holding. TEs outside of a couple are hugely difficult to trade anyway, and I think you’d be right to be optimistic about Ebron’s 2017 outlook.